7 ways to save money in South East Asia – Checking In. Travelling South East Asia (SEA) for a long period of time is cheap compared to travelling other parts of the world like North America or Europe. But you can make your trip even cheaper with some basic changes. We set ourselves a budget of £50 a day for the two of us which covered our accommodation, food, transport and activities. We managed to avoid staying in a hostel the entire time in SEA and didn’t scrimp as much as we imagined we might have had to. 1. Street food– Eating on the street is an option in most areas of SEA and is the best experience if your looking to live like a local. The other good reason for eating on the street is the price! Phad Thai seems to be very popular with most backpackers and you can grab yourself a plate of it for about 60p. If you choose to eat in a restaurant rather then at a food stall then you would find the same dish with a lot less flavour for about £2. That is a saving of £1.40 each time. 2. Lend a hand– When it comes to staying in guesthouses or smaller hotels, offering to help with a few handy man jobs always seems to go down well. 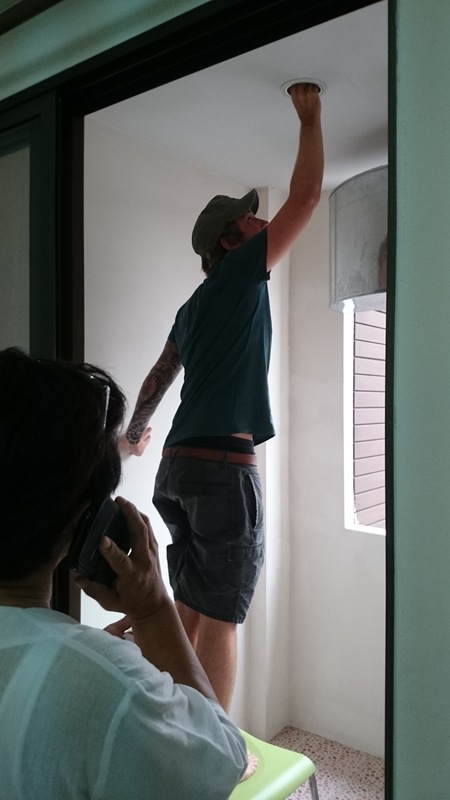 Like simply changing a few light bulbs, which is exactly what we done in Chiang Mai, Thailand. In return we got a discounted room rate and the owner helped us all she could with any queries we had. 3. Avoid drinking in bars– There are many pop-up bars on the street in most cities around SEA and they have such a great atmosphere. You can meet fellow travellers and have a conversation about your experiences without loud music blasting in your ear. Plus the price of a large bottle of beer is £1.50, compared to £2.50 in a bar. 4. Put your bag down– The biggest thing we learnt very quickly was to relax and put our bag down for a while. Find somewhere you like and settle for a bit instead of sticking to an itinerary that you will end up not following after the first few weeks. Transport is one of the things that increases your average spend and we realised that slowing down and spending more time in a place saved us money in the long run. Plus you get to see a lot more that you would miss if you scheduled a 2 day stop. 5. Barter– It might seem daunting at first to tell someone ‘No’ I do not want to pay that much for something. But once you have done it a couple of times you will grow in confidence and barter for everything. It is good practice to ask how much for something, either in a shop or a restaurant and then offer a lower price. It doe not just have to be on the street stalls of SEA to try and get something a bit cheaper. The more money you save the more fun you can have! So Barter for everything- clothes, food, taxis, accommodation. 6. Meter Taxi– This is where a lot of travellers end up getting scammed if they have not done some research or asked locals how much a taxi should cost from A to B. Your safest option is to wave down a taxi away from a tourist hot spot and ask if they will do your requested journey on the meter. If they say no, just walk away and wave down the next one. Repeat until a taxi driver agrees to doing the journey on the meter. Otherwise you can end up paying three or four times the price! There are so many taxis that you will not be waiting too long before one eventually says yes. 7. Avoid tourist buses– The local transport in SEA is quite a bit cheaper than booking for e.g. 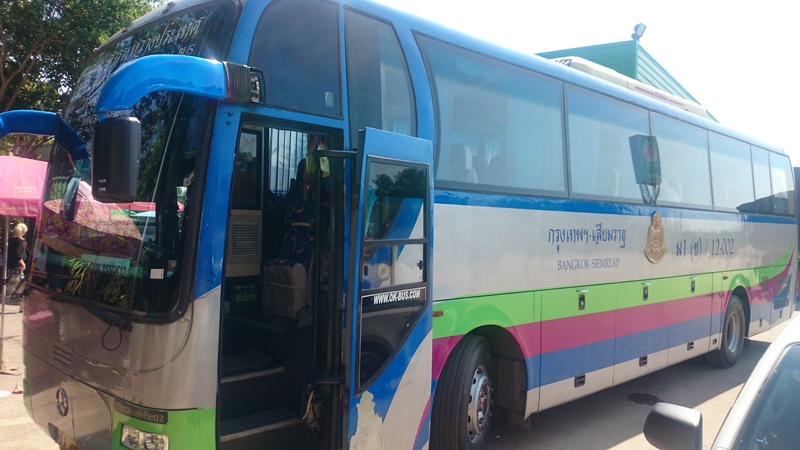 a tourist bus from Bangkok to Chiang Mai. The funky looking sleeper buses that the travel agents sell to you can be double the price of using the bus that the locals use. Just go to the bus station and catch the bus from there instead of on a street corner in a city centre. I absolutely love the idea of helping out at small hotels or guesthouses. What a cool way to pay it forward and make friends in the process! omg i LOVE LOVE street food! that is the best part of going to asia!! Street food can really be a more affordable food alternative. Knowing the route can also save you a lot of taxi fare. These are great tips! 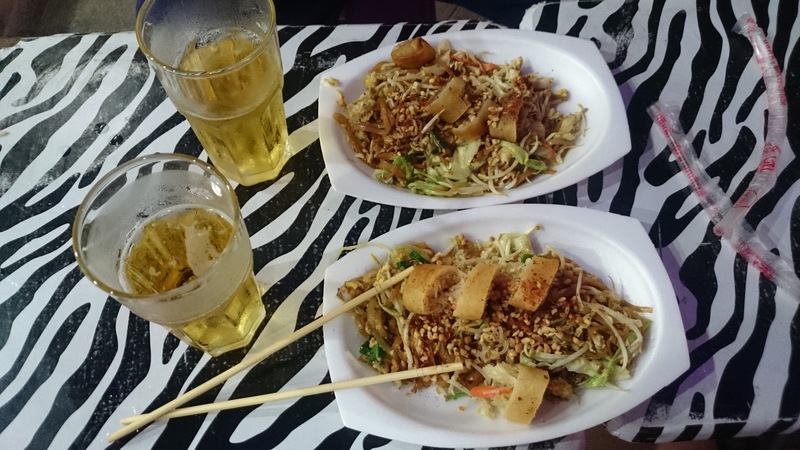 I agree about eating street food; I love to experience the same cuisine that the locals do! The best part of this, to eat street food. Having been to Thailand, I remember the days of walking the streets and all the wonderful food. Then again, I always love trying new foods. It’s good to know that there are inexpensive options for traveling there. I think bartering would take some serious getting used to. 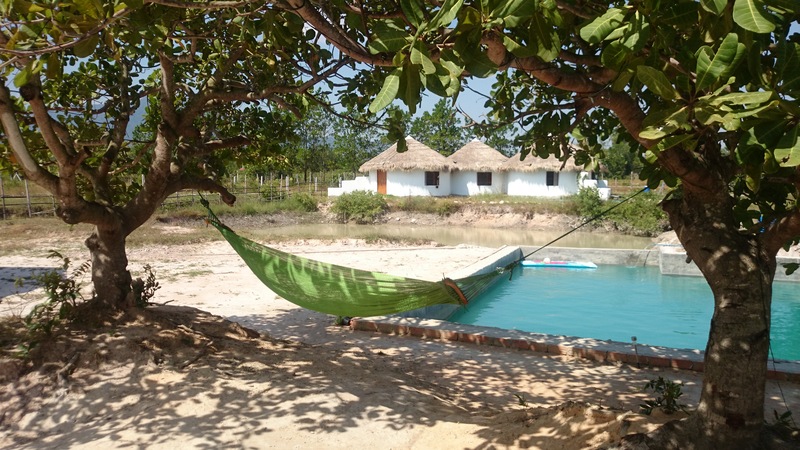 These are such amazing tips – I wish I was travelling in SE Asia! I would absolutely be putting my bag down and taking it all in [and eating street food]! Great tips. I didn’t have this place as a destination for future traveling, but you may have changed my mind. One of my dreams is to visit Asia. It is so beautiful there, I just need to go! Thanks for the tips! These are some great tips! This looks like such a fun place to visit, too. I hope to be able to travel to Asia one day!! These are great tips to save money on a trip! Great tips. I love learning about different countries and its good to know that you can also enjoy on a budget. I am not sure I’ll ever visit Asia. These tips are great and some could be used in other traveling locations. Great tips! I do agreed with you. I do like the street food and one thing I miss living in Asia. .Now, I am a mom i’m more cautious that I have a child after what happen our last trip in Asia were my daughter got something/food poisoning and run my daughter in the hospital-I was scared to death. I’m not sure if we will have an extended stay in SEA, but these tips sure are helpful. I can apply them to ANY vacation, I bet! I have to say you gave some great advise. My nieces have been to SEA but I have never been. I’m always a bit skeptical of the food but who doesn’t want to save money? These are great tips and advice! Everyone needs to try and save money. Reblogged this on Checking In.. Loved your tips, I had never thought of offering to help out before. Great idea!